Cast: Choi Kang Hee, Chun Jung Myung, Lee Jae Yoon and Ahn So Hee. Cha Hong Do (Choi Kang Hee) is an incredibly smart woman suffering from extreme blushing, which made her get social phobia, and eventually she became a hermit. She used to live with her grandmother who became her supporter and eyes to the outside world, but once she died so did Hong Do’s life outside of her house. The only way she’d be able to leave the house is if she wears a helmet, and even then she rarely leaves her house. One of the reasons she does leave her house is Jang Doo Soo (Lee Jae Yoon), a police officer she has a crush on, and will do almost anything in order to take a glance at, but is unable to speak to. Another problem is money: if she is unable to work how will she pay her rent? This she manages by dressing up as an old lady, and doing to housework for a rich household. One day she reads a book written by Doctor Ko Yi Suk (Chun Jung Myung), a renowned psychologist, who owns his own office. In the book he gives hope to people, and surprisingly Hong Do, who believed that she would never be cured, goes to his office to get help from him. But the first scene Hong Do sees is Yi Suk holding a pen inside a patient’s throat. She immediately accuses him of attempted murder. After almost losing everything, his job, office and mental state, Yi Suk tries to kill himself, but is saved by Hong Do - who has returned to get help from Hong Do. But being the arrogant and selfish man he is Yi Suk makes fun of her, and yet declares to be able to cure her... what’s it going to be? 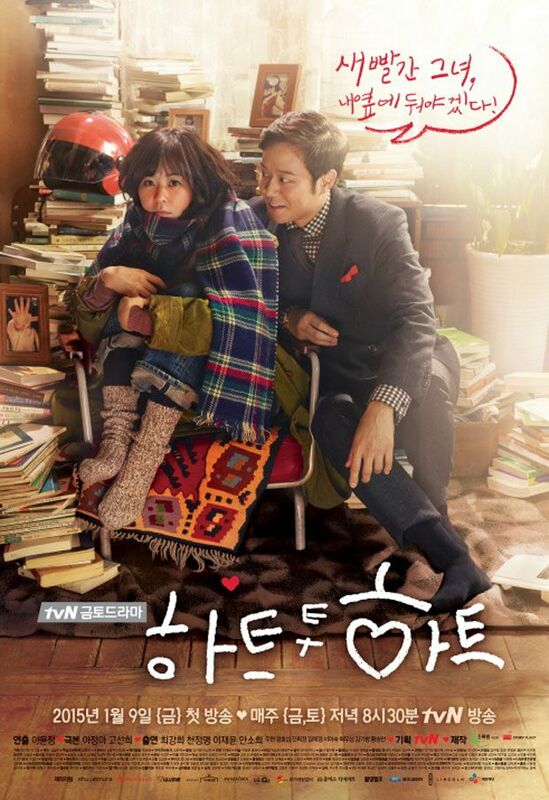 This drama was quite enjoyable, even though I dislike Choi Kang Hee. Amazingly Chun Jung Myung is able to make her not only interesting, but also likeable - so in the long run I kind of liked seeing her. The two have one of the best chemistries of 2015, and even though the drama doesn’t have one continuing dilemma - like 99% of the Korean dramas out there, it does its job quite well. I really liked the story, and the psychological part - from all angles. I even liked the secondary couple too, even though it took them a bit to get started. The overall drama is enjoyable, and even if I rated it 4, I would recommend it for people liking these kinds of dramas. So this is one of the hidden gemstones in dramaworld. Seriously, it has all the signs that says: “stay away, don’t look. I’m just an ordinary kdrama, meh don’t even bother”. What those signs are? First: A girl that can’t socialize with the rest of humankind. Like seriously, what kind of lame story is that gonna be?! Second: Choi Kang Hee, nope, that would never work out good. Third: It wasn’t a recognized drama in Korea (never trust those ratings, but still… it doesn’t encourage either). Oh wait… I said this is a hidden gemstone, because IT IS! I had no idea when I started watching this drama that I would love it so much. Emotional roller coaster, one of the best stories out there, and how bluntly honest the leads were with each other, seriously astounded me. They clear the misunderstanding fast and didn't drag on, not even a second. Chun Jung Myung is one of the most natural actors. His portrayal of Yi Seok is emotional and I was completely mesmerized in his character.